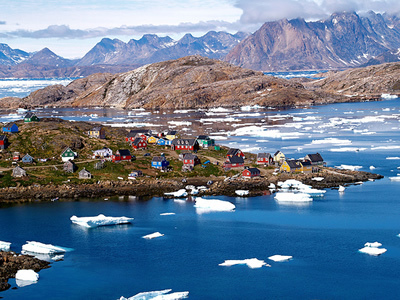 The village of Kulusuk, in Greenland. Find links to hands-on experiments and activities for all age groups on the Frozen Ground Classroom Activities Web page. See the Further Reading Web page to find other online sources about permafrost and frozen ground. Wonder what it's like to study frozen ground for a living? Read this Interview with Tingjun Zhang, NSIDC research scientist, to learn about the life of a permafrost scientist and what it takes to become one.